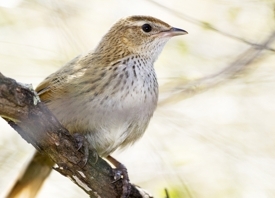 The Fernbird is the resident iconic bird of Bushy Point. They are locally common but notorious for being difficult to find. Our private track and boardwalk from our door takes you through the best habitat to see or photograph fernbirds. We give our guests the very best opportunities to get good views of Fernbirds using our knowledge of their behaviour gained in 20 years. 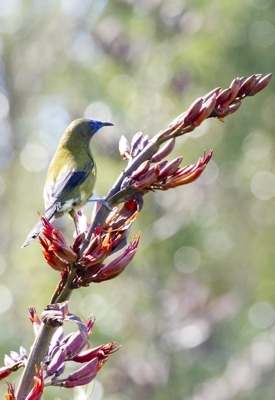 Fernbirds can be seen all year but are more difficult in very windy conditions. 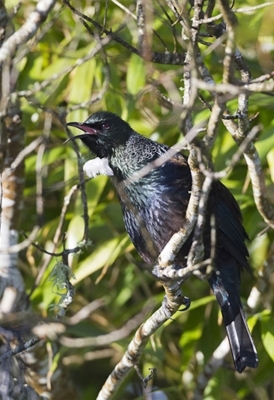 Tui and Bellbirds are resident in varying numbers all year. There are Silverye, Fantails and occasional Brown Creeper. NZ Pigeon pass through. 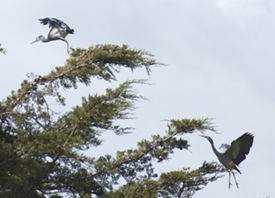 The Harrier Hawk roosts in the rushland and White faced Herons in the tall trees. 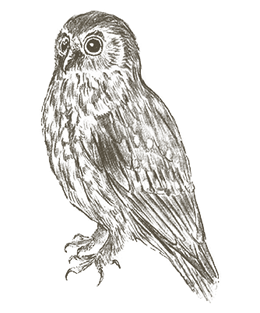 Morepork are rare but can be seen. The nearby estuary has Spoonbills, Pied Stilts, Oystercatchers, Terns, Kingfishers and Godwits.